Historically, physicians have been both radiologist and radiation oncologist, and diagnostic and therapeutic roles have sat comfortably with one physician. Dr Richard Simcock argues that times have now changed and there is a strong case for a radiologist AND a radiation oncologist in the planning room. Thor Stenbeck is a hero of Swedish physics. Soon after Röntgen’s first X-ray image Stenbeck could lay claim to the first documented therapeutic use (locating a bullet lodged in a skull). Later he successfully irradiated skin cancer with the first documented fractionated therapy. Stenbeck is our first example of a physician becoming both a radiologist and radiation oncologist. The model has been endlessly repeated. Throughout the 20th century the therapeutic and diagnostic possibilities of the magical rays were supervised by key pioneers. One of Britain’s greatest examples was Ralston Patterson. 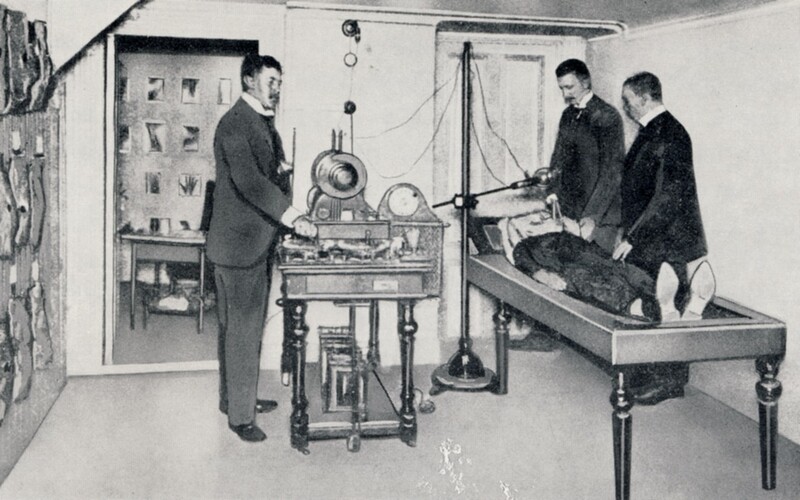 Patterson trained in radiology in Cambridge, South Africa, Aberdeen and the Mayo Clinic before leading Manchester’s Holt Institute and trailblazing for standardisation in the medical physics of therapy. Patterson was an early President of the Faculty of Radiologists, later transformed into the Royal College of Radiologists (motto, “From Rays, Health”). The Royal College still accredits both radiologists and radiation (clinical) oncologists—but the world has moved on. Today’s radiotherapy maximises therapeutic ratio by using the best of radiological imaging to accurately identify a malignant target and the organs at risk (OARs). It then uses image guidance to ensure that the bullseye of the target never drifts from the treatment beam. As technology develops so does the ability to identify and potentially spare new OARs. At the recent BIR Meeting on “Diagnostic Radiology for Advanced Head and Neck Planning” delegates heard data on “new” OARS such as cochleas and carotids as well as reviewing how to identify emerging OARs in the swallowing musculature on high-resolution CTs. The meeting buzzed with talk on MRI and PET fusion in the radiotherapy planning process as well as diffusion-weighted MRI and nuclear medicine in diagnosis. These technologies are figuratively and literally decades apart from the images Patterson used to guide treatment and yet we cling to one relic from the age: the dual role of radiation oncologist as radiologist. This is a nonsense. The interpretation of imaging should be performed by those most expert, and in almost every case that will be the experienced cancer radiologist. Despite this it is usually the radiation oncologist who defines the visible tumour target ( or gross tumour volume (GTV)) in radiation planning. One assumes therefore that the radiation oncologist is trained in radiology? Sadly not. It is an embarrassing fact that the post-graduate training of the UK clinical oncologist (as specified by the RCR curriculum ) requires no training or examination in radiological anatomy nor radiology. There are examinations in statistics and cancer biology but no expectation that trainees should be formally taught how to use the imaging that they use as the eyesight of their weapon of choice. Clinical oncology trainees may however be examined in the design of a radiotherapy bunker—a fitting metaphor for this silo thinking. Elsewhere in the world the situation is not much better. Neither the US nor Australian training schemes mandate any radiology training (although the Royal Australian and New Zealand College of Radiologists (RANZCR) are considering it). In Canada at least a 4-month radiology attachment is expected (a model followed by some UK centres e.g. Glasgow) but this is not long enough to learn a radiologist’s craft. A recent study identified 84 radiological competencies as a minimum for radiation oncologists. We need to change the model; not “Jacks of all trades” but Masters of one. We must bring together radiological knowledge and harness it to an oncologist’s expertise. Radiologists remain essential in diagnosis, staging and response assessment. Radiation oncologists determine clinical target volumes and critically assess the final plan. The two come together to identify tumour targets and OARs; radiologist and radiation oncologist in the same room but not the same person. 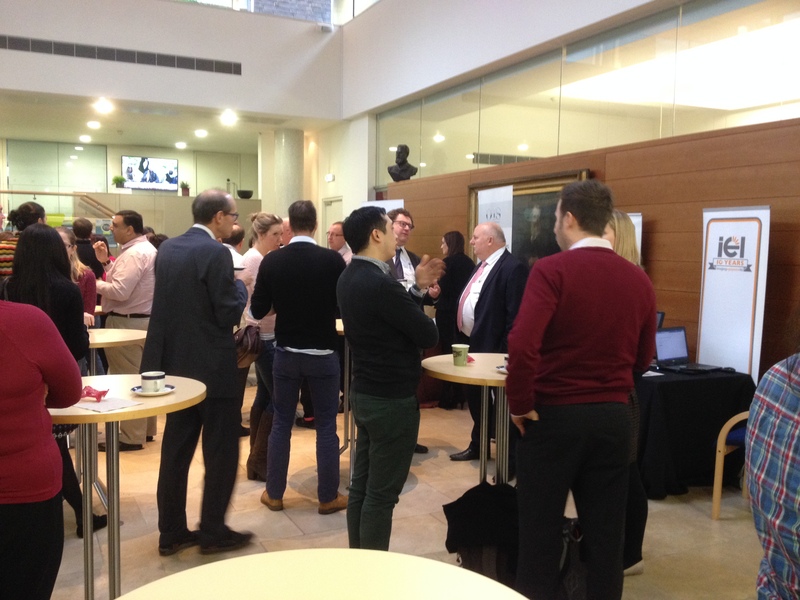 The BIR meeting showed us how far we have come (and can go) in head and neck radiotherapy. It illustrated that progress will reach its maximum potential if we collaborate as a multiprofessional team in the planning department. Thor Stenbeck was a hero, but a century later we should not emulate him and his dual roles. 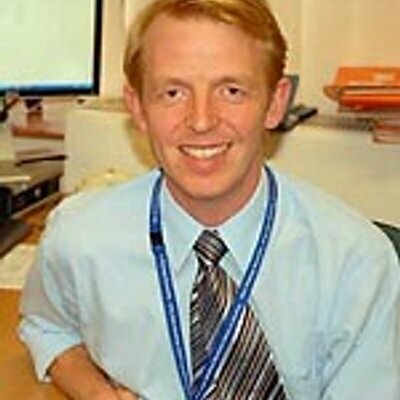 Dr Richard Simcock has been a Consultant Clinical Oncologist at the Sussex Cancer Centre since 2004. Previously he had worked at the Sydney Cancer Centre, Australia and before that had completed five years of postgraduate specialist training in Oncology in London and the South East including Guys and St.Thomas’, Charing Cross and Mount Vernon Hospitals. He graduated from Guys and St.Thomas’ hospital in 1993. Working closely with the surgical and nursing team Dr Simcock sees and treats patients diagnosed with early or advanced breast cancer. He advises on the role of radiation, chemotherapy, hormone, biological, and experimental treatments. Dr Simcock prescribes and supervises courses of chemotherapy delivered by the team at the Montefiore or by home healthcare teams. In addition he prescribes, plans, and supervises radiotherapy treatment at the Royal Sussex County Hospital or at Spire Portsmouth (CPUK). He is also involved in enrolling patients in trials of new therapies as well as trials of improved radiation therapies. As a Head and Neck Oncologist Dr Simcock treats cancers of the larynx (voice box), tongue, tonsil and other rarer sites. He supervises, prescribes and plans curative treatments with radiotherapy and chemotherapy as well as giving post-operative radiotherapy treatments. Intensity Modulated radiotherapy is used as standard in these cases. Posted on December 8, 2014 by birblog2013. This entry was posted in Uncategorized and tagged BIR, diagnostic imaging, Dr Richard Simcock, Radiation Oncology, Radiography, radiology, Ralston Patterson, Thor Stenbeck. Bookmark the permalink.